Today was a terrific holiday, a full house with family, kids running everywhere, grandparents, aunts and uncles around, helping in the kitchen and with the kids, good food. I slow-roasted a leg of lamb. VERY slow. Instead of a “7 hour leg” it was more of a 10-12 hour leg of lamb. I couldn’t do the 24 hours at 152 degrees that Alex and Aki recommend for lamb braises in Ideas In Food, nor did I want to do it at 325 for 5 hours. So we settled on 200ish for about 12 hours. 8 hours on Saturday at 200 (covered), and the last few hours this morning in between 150 and 200, with a final 30 minutes around 400 to baste and crisp up the skin. 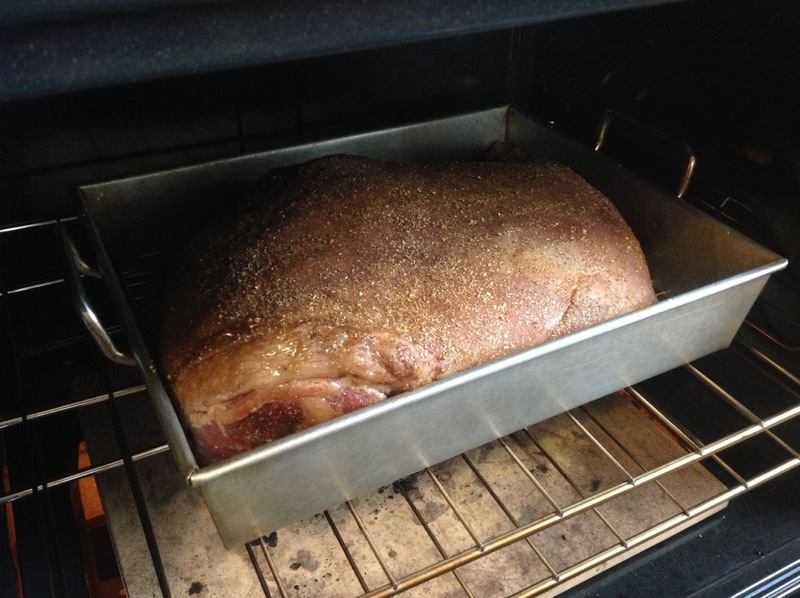 I seasoned it overnight (Friday) with smoked coriander and smoked kosher salt, which made the whole house smell like smoked lamb on Saturday afternoon. After the final roast this morning, I finished the sauce with 2 heads of roasted garlic, half a preserved lemon (freezer method also from Ideas in Food), and a handful of parsley. It made a delicious and rich simple sauce to pour over the lamb and potatoes for dinner. Here’s the aftermath of the leg. (There was no time for a photo of the plated platter, when the kitchen was a bit chaotic.) Cheers! 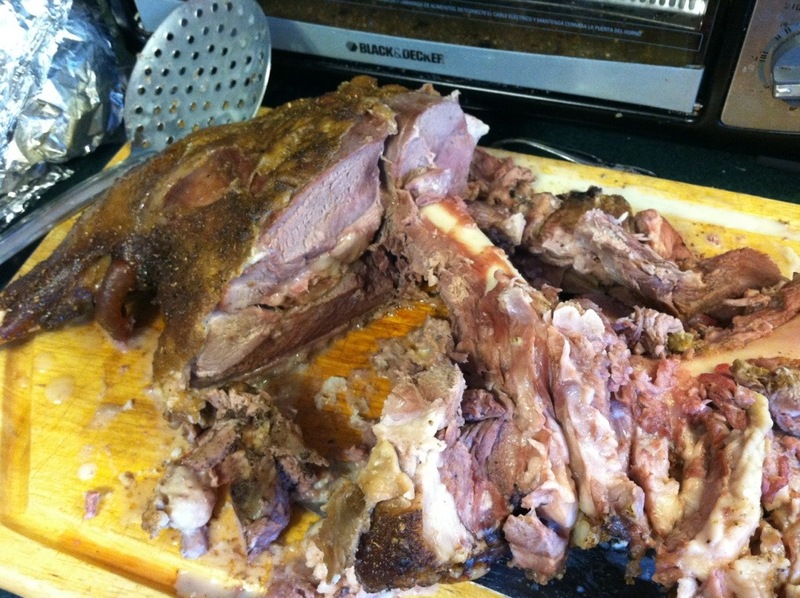 This entry was posted in lamb, recipes, technique and tagged Easter, lamb, recipes, slow. Bookmark the permalink. but looks great in Firefox. Do you have any solutions to help fix this issue?